The primary focus of the book is on forests in N. America, but the content of this text book is much broader in application. 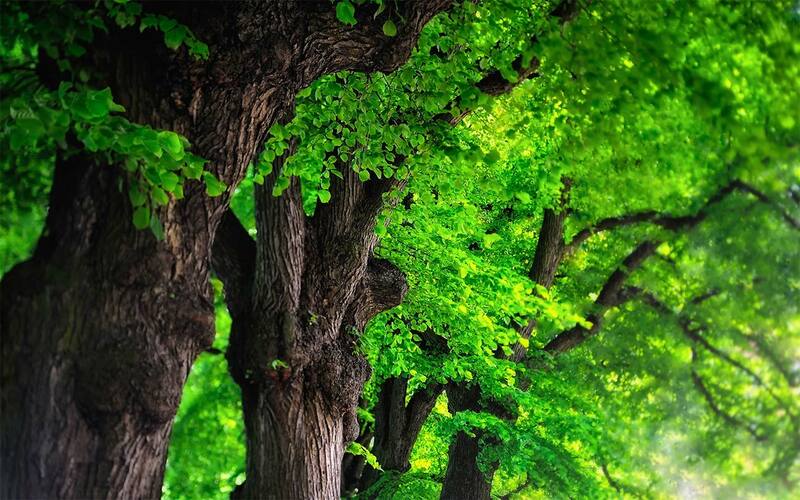 In recent years, conflicts between ecological conservation and economic growth forced a reassessment of the motivations and goals of wildlife and forestry management. Focus shifted from game and commodity management to biodiversity conservation and ecological forestry. Previously separate fields such as forestry, biology, botany, and zoology merged into a common framework known as conservation biology and resource professionals began to approach natural resource problems in an interdisciplinary light. 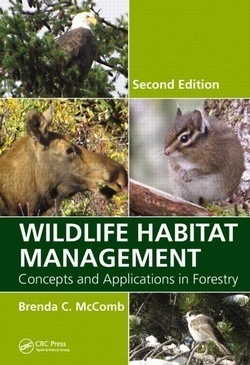 Wildlife Habitat Management: Concepts and Applications in Forestry presents an integrated reference combining silvicultural and forest planning principles with principles of habitat ecology and conservation biology. With extensive references and case studies drawn from real situations, this book begins with general concepts such as habitat selection, forest composition, influences on habitat patterns, and the dynamics of disturbance ecology. It considers management approaches for specific habitats including even-aged and uneven-aged systems, riparian areas, and dead wood and highlights those approaches that will conserve and manage biodiversity. The author discusses assessment and prioritization policies, monitoring techniques, and ethical and legal issues that can have worldwide impact. Detailed appendices provide a glossary, scientific names, and tools for measuring and interpreting habitat elements. Writing in a species-specific manner, the author emphasizes the need to consider the potential effects of management decisions on biodiversity conservation and maintains a holistic approach throughout the book. Drawing from the author's more than 30 years working and teaching in natural resources conservation, Wildlife Habitat Management: Concepts and Applications in Forestry provides a synopsis of current preservation techniques and establishes a common body of knowledge from which to approach the conservation of biodiversity in the future. Authors: - McComb, Brenda C.